Home > Social Media > How To Turn On Data Saver On Twitter? 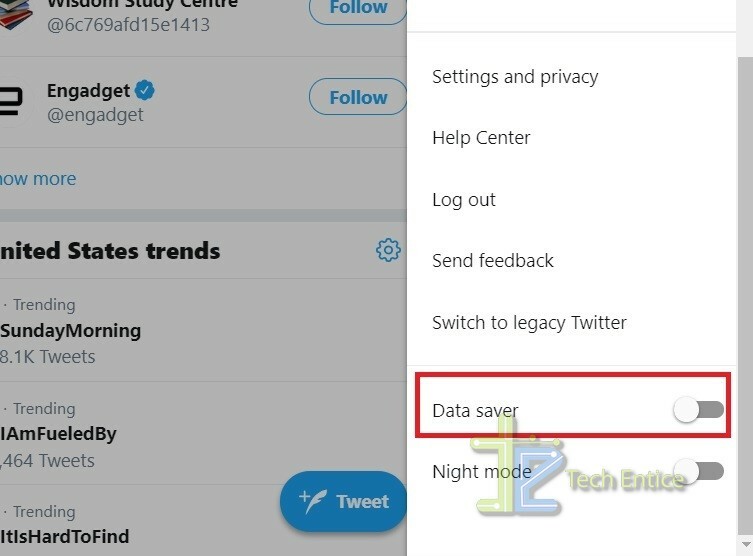 Data Saver is an important setting in Twitter. The function of the Data Saver is to reduce the consumption of internet data by reducing the image sizes, reducing video quality and disabling autoplay of videos. While using the Twitter app on Android or iOS, you must have noticed that the video starts playing with or without sound whenever you scroll down your News feed. The feature of autoplay has been included in Twitter to grab more attention of viewers. For example, while scrolling through your news feed, you only tend to open images or videos that are of your interests. But if the video starts playing automatically, you are bound to watch them irrespective of whether it is of your interest or not. This is human instinct. This autoplay feature consumes a lot of internet data. You may eventually scroll once again by swiping up or down, but that doesn’t reduce the data consumption. So, users who have limited internet pack and does not want to unnecessarily use data can turn on the data server. Click on the profile icon at the top right corner of the screen. The account info screen appears. Scroll down and find the option Data Saver. Tap on the slider to turn it on. Again, if you want to turn it off, tap on the Slider or move the bar from right to left.